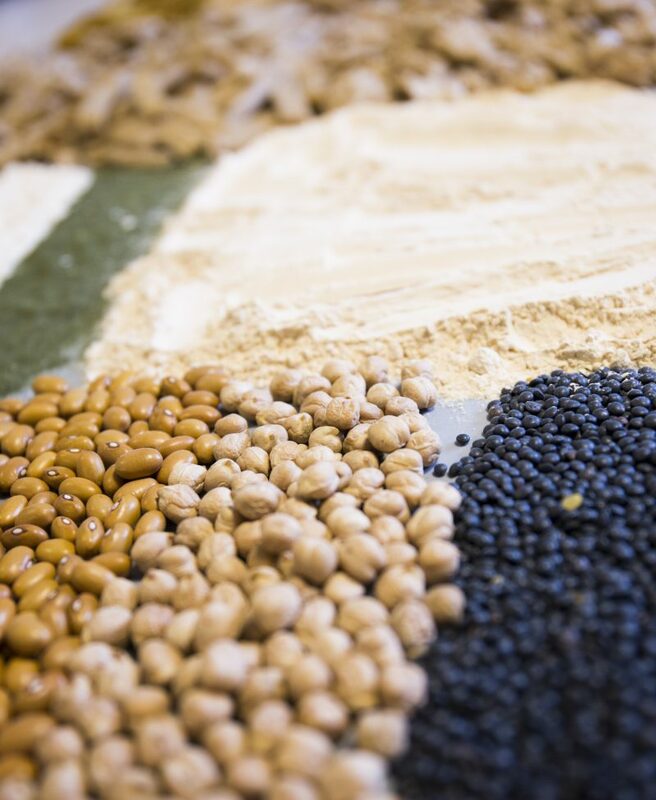 The demand for plant based proteins is increasing worldwide, especially in the Netherlands. In 2017 between 4 and 5% of the people are vegan or vegetarian, and more than half of the Dutch restrain from eating meat for dinner at least three times a week. (Waart, de S., 2017). Plant based proteins contribute to a sustainable food chain. For the production of 1 kg of dry bovine protein, 26 kg of dry plant protein is needed (*), while for Plenti approx. 1.5 kg of dry plant protein is needed. How can this be done? Quite simply, animals eat pounds of pulses (including soy) and wheat in the time they are (still) alive. This applies to all animals that we eat. 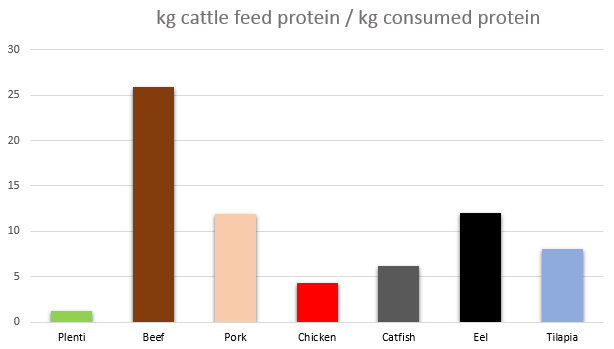 The table below shows the numbers for various protein conversions for different types of meat. Eating the soy directly instead of indirectly saves enormous amounts of resources. Our mission is to stimulate a plant based protein revolution with the production of tasty plant based proteins. In addition to the sustainability benefits, the consumer seems to become increasingly aware of the health benefits of replacing animal proteins with plant based proteins.